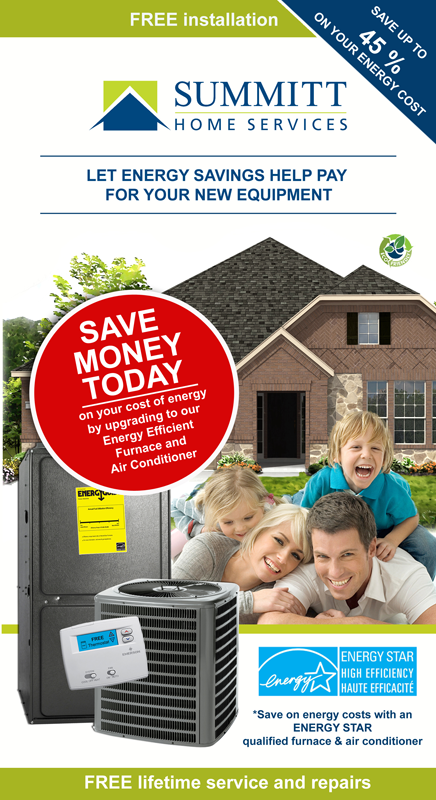 Think purchasing an Air Conditioner or Furnace is too expensive? We have a solution for you! 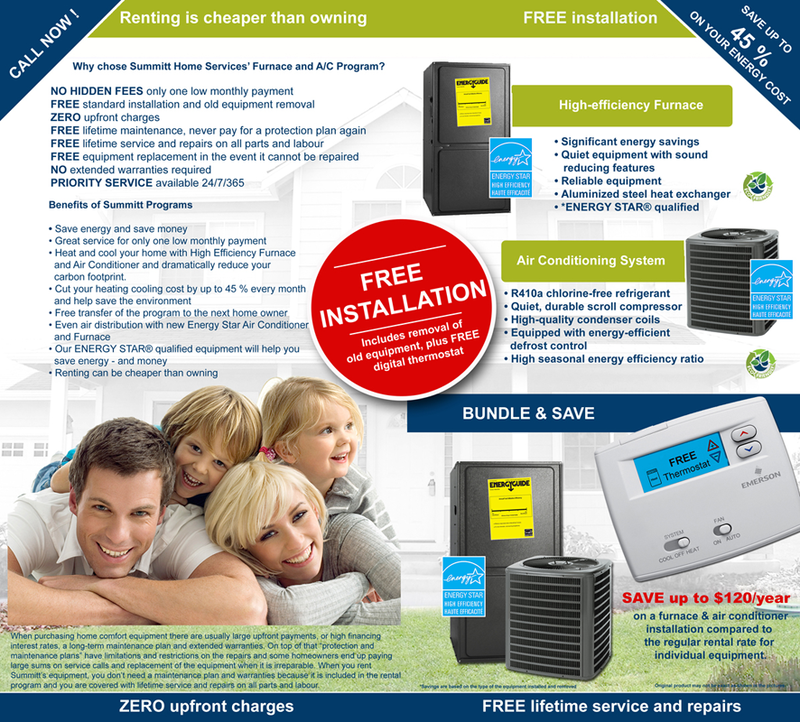 When you rent AC, Furnace or both units from DeMark Home Ontario Inc, you’re joining Ontario’s most affordable, worry-free rental program. We deliver excellent service and top of the line equipment to our customers. We only install reputable, durable brands so customers will always be comfortable and protected. 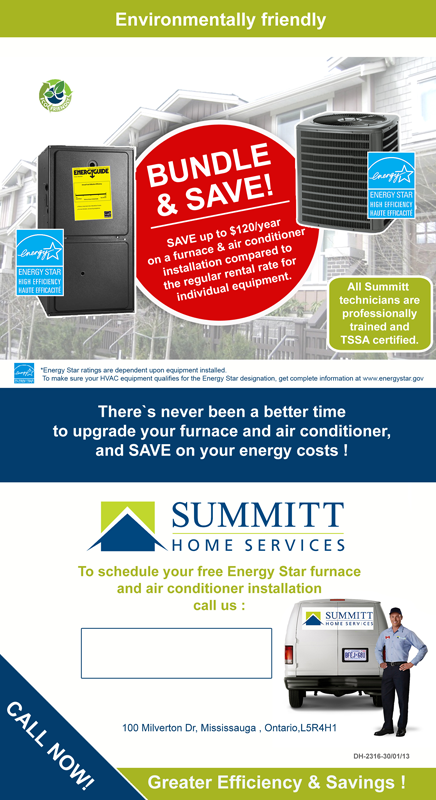 With our 24/7/365 maintenance program on Gas Furnace rental you receive lifetime service and repairs on all parts and labour and stay protected and worry free from unforeseen costs. You never have to worry about dealing with breakdowns, costs and replacement of your HVAC unit. Stay worry Free - Repairs and Maintenance Included in the rental program When purchasing home comfort equipment there are usually large upfront payments or high financing interest rates, a long-term maintenance plan and extended warranties. On top of that ‘protection and maintenance plans’ have limitations and restrictions on the repairs and some homeowners end up paying high amounts on service calls and replacement of the equipment when it is irreparable. When you rent DHO's equipment, you don’t need a maintenance plan and warranties because it is included in the gas furnace rental program and you are covered with lifetime service and repairs on all parts and labour. Proper sizing is the most important thing in replacing a furnace. Bigger isn’t better. Smaller isn’t cheaper. The best comfort and efficiency is through a properly sized furnace. If the furnace is too small it won’t keep the house at the desired temperature when it is cold outside. If the furnace is too big it heats the house too quickly and then shuts off. This results in hot and cold swings in temperature in the house. To properly determine the correct size for a furnace please contact one of our professionally trained representatives who will be able to assist you in making the right decision for your home. No, there are no any hidden charges. You will pay only the monthly rental fee which will be reflected on your Enbridge Gas Distribution Bill. Will I be billed by DeMark Home Ontario? No. You will be billed by Enbridge Gas Distribution and Summitt Home Services HVAC rental charges will appear in the Other Companies section of your Enbridge Gas Distribution Bill. No Problem? Similar to hot water tank rentals, HVAC units stay with the home and new homeowner can simply assume the existing rental and you have no further obligations or concerns. You also have an option to buy out this equipment and sell it as part of home’s price. 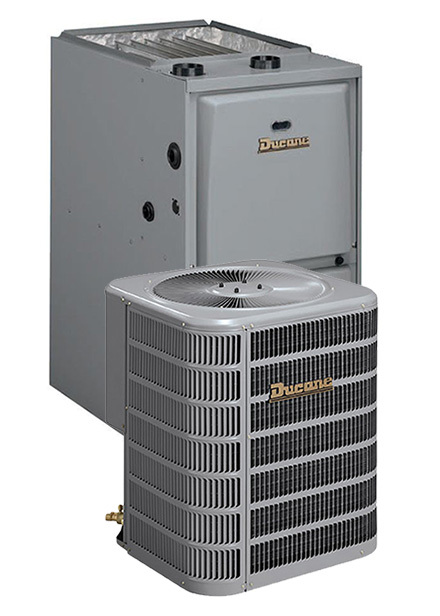 The Ducane 95V two stage variable speed gas furnace is a quality high efficiency gas furnace. This furnace has a 2-stage burner and a variable-speed fan which provide consistent well balanced heating throughout your home. This 2 stage variable speed 95% efficiency furnace is well suited to consumers in regions of colder climate and long winters. It is also a “green” product with low emissions to protect the environment. Energy Star rated at 95% AFUE. 2-stage gas valve for effective temperature maintenance. Variable speed fan for optimum performance in heating and air conditioning. Quiet starts and stops for gentle operation. Hot-surface dependable and durable igniters. Heat exchanger has lifetime limited warranty. Parts have 10-year limited warranty.